Question: How does IV therapy work? Answer: IV therapy works by infusing essential vitamins, minerals, and amino acids directly into the body. The advantage of this procedure is that higher levels of nutrients can often be introduced into the body than would be possible via oral supplements or vitamins. Question: Is IV therapy safe? Answer: IV Therapy is generally safe under the supervision of your physician. All of our IV Therapy procedures are performed by Doctors licensed for IV Therapy. Our Doctors will always work with you to develop safe and appropriate treatment, including having requisite lab work completed as required. Question: Is IV therapy just a “trend”? Answer: There are indeed many celebrities such as Madonna, Gwyneth Paltrow and Simon Cowell undergoing IV drip therapy, however it is commonly being embraced by everyone looking to experience it’s health benefits. Doctors have been using it for many years to safely and effectively treat and manage a number of health conditions provide patients with greater levels of health and wellness. 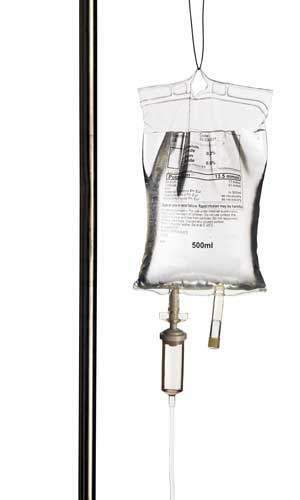 Question: What are the different types of IV therapy? Answer: Specialty Natural Medicine offers a number of treatment options. Our Doctors have developed specific treatments to boost immune support, treat anemia (and other low iron issues), support your LDA treatments, improve memory function, boost energy and improve athletic function and recovery. Our clinic also offers custom treatments based on your health needs. Optional nutritional testing is available that can specifically identify which nutrients you may be deficient in. Question: Am I eligible for IV vitamin therapy? Answer: We believe IV therapy can be useful for a broad variety of people. To find out how you can benefit, contact Specialty Natural Medicine so we can assess your specific needs. Answer: We charge standard office rates for each visit. Depending on your insurance, your office visit may be covered. We also charge for the nutrients and vitamins that are infused as part of your therapy. Prices for our listed treatments range from $65.00 – $200.00 Custom made IVs utilizing higher doses of nutrients are available at additional cost. Very specific IVs, such as Iron or hydration, may be billable to insurance. For your safety, certain treatments (Immune Support) require testing prior to administration. Setup an appointment with our office by calling 425-423-0878, emailing us at Help@SpecialtyNaturalMedicine.com or using our online Appointment Request Form.